Your favourite interval timer just got better! Over the last couple of weeks, we have been working on several new features to take your interval training to the next level. We get excited with all Exercise Timer updates, but this one left us particularly thrilled because we included a lot of the features requested in your feedback. So grab a coffee and scroll through the new features below. You are now able to skip an exercise interval by just pressing the ‘next’ button. Moreover, you can go back to the previous interval, by pressing the ‘Previous’ button. If you wish to go to a specific exercise, you can still do so by switching to list mode and clicking on the exercise. Workout plans aren’t something new in Exercise Timer. However, in this version the workout plan function was totally redesigned. 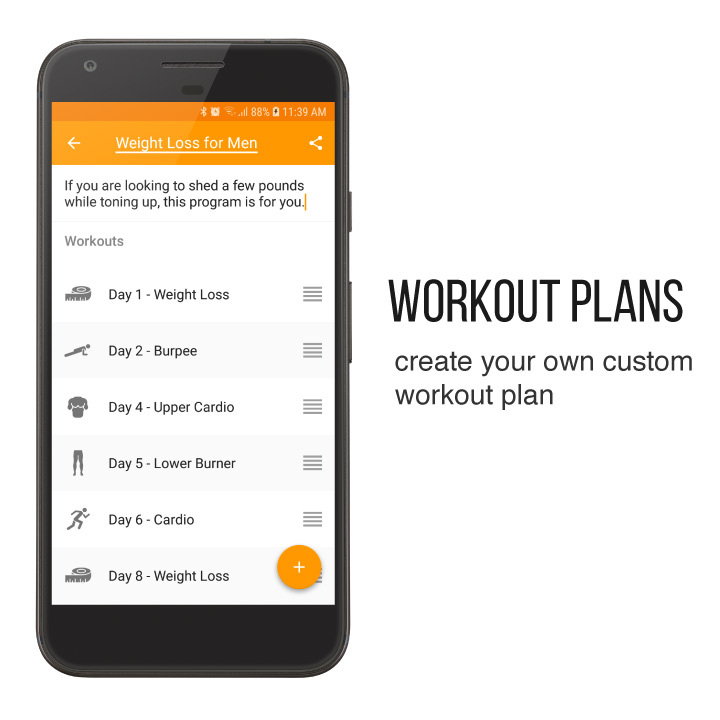 A plan can have a title, description and multiple workouts which can be reordered at any time. New or existing workouts can be added to a workout plan simply with the click of a button. Apart from this, we added lots of new workout icons, to make it easier for you to distinguish between workouts. 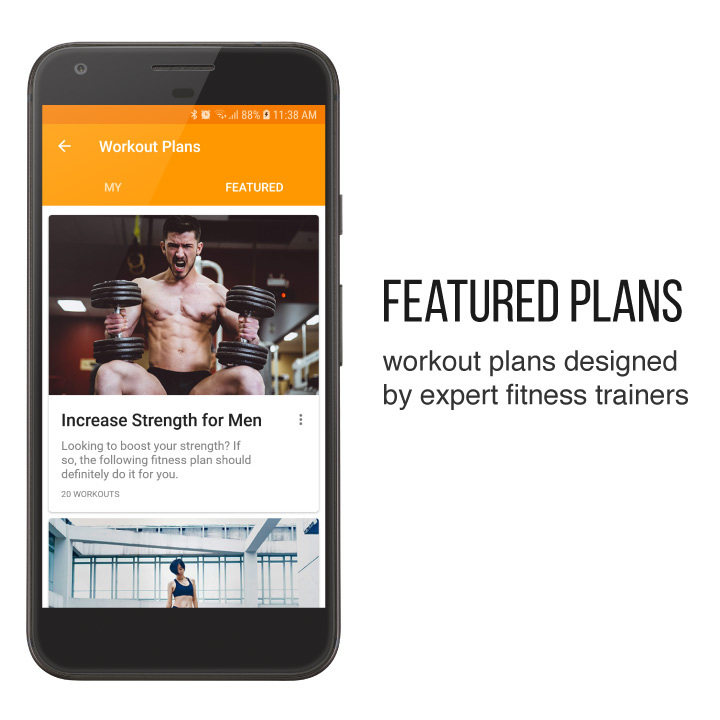 If you have no experience in designing workout plans or simply don’t have the time, we’ve got you covered. 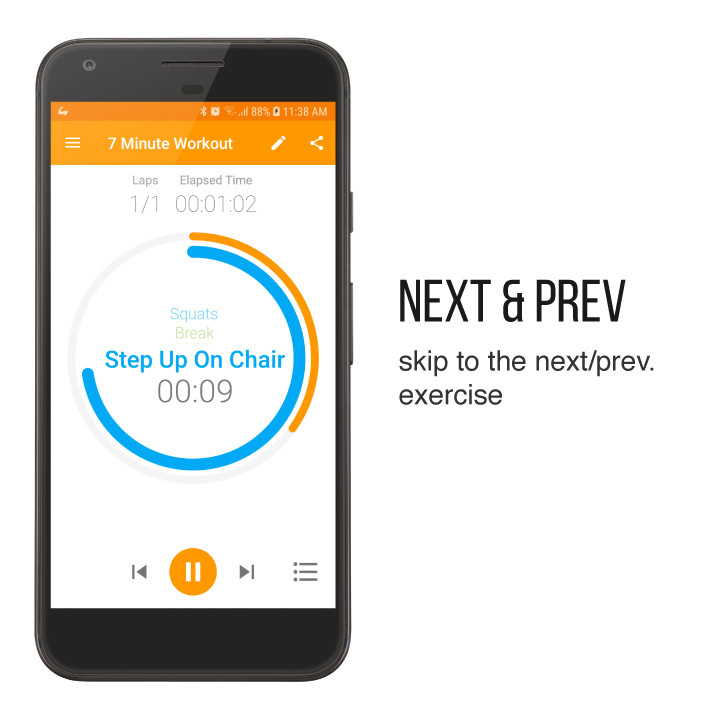 We are excited to announce that the new version of Exercise Timer includes workout plans designed by expert fitness trainers. 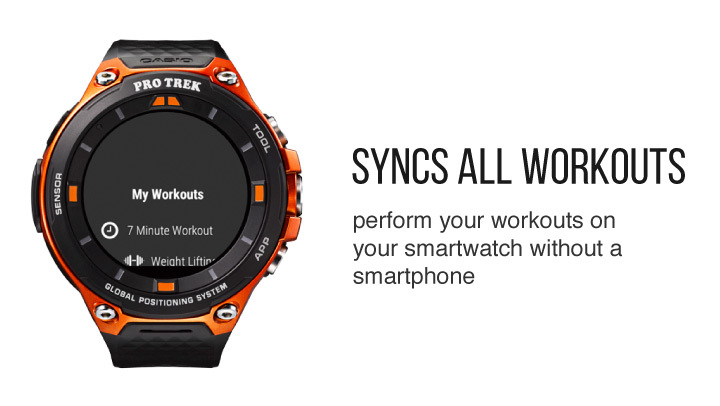 Start a workout from your smartphone to have it play on both your smartphone and smartwatch. Start a workout on your smartwatch to have it run just on your smartwatch, without the need for a smartphone. 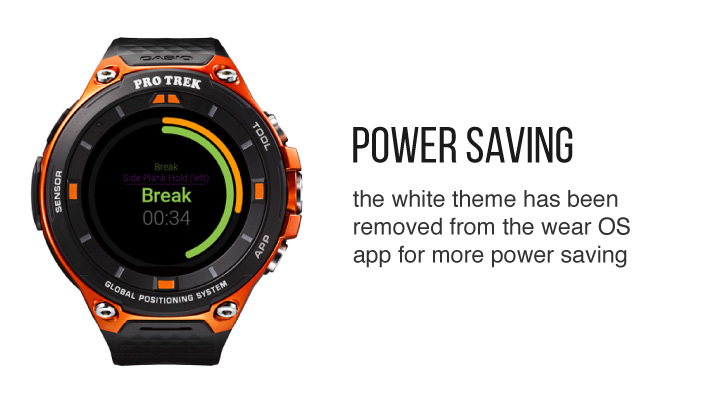 Power saving is very important, especially on smartwatches. This is why we scrapped the light theme on the Wear OS App of Exercise Timer. You can now enjoy the light theme on your smartphone without draining your smartwatch battery. 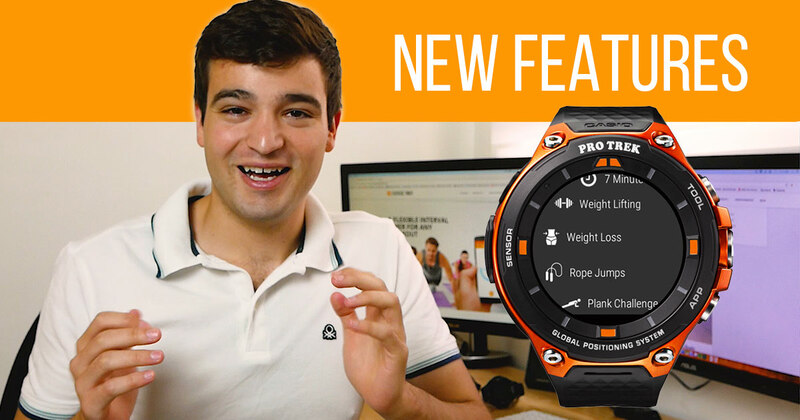 You can now view a list of exercises in your workout directly from your smartwatch. This is done by pausing the workout and just scrolling up or down to view the previous or upcoming exercises. You can go to a particular exercise by just clicking on it. 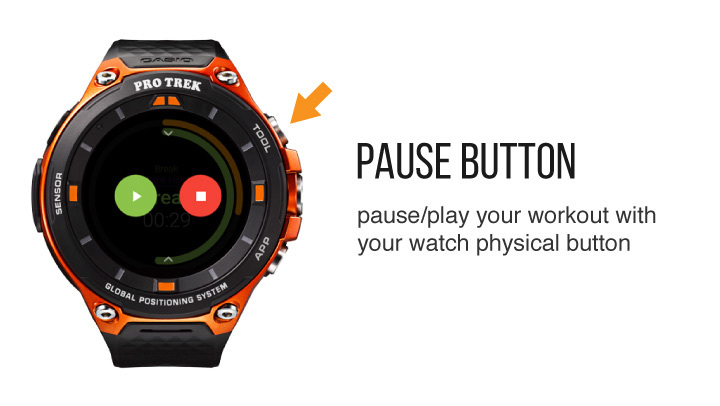 You can now pause or start your workout using your smartwatch physical button. If this feature is available on your smartwatch, you will see an indicator icon when the app is first started. 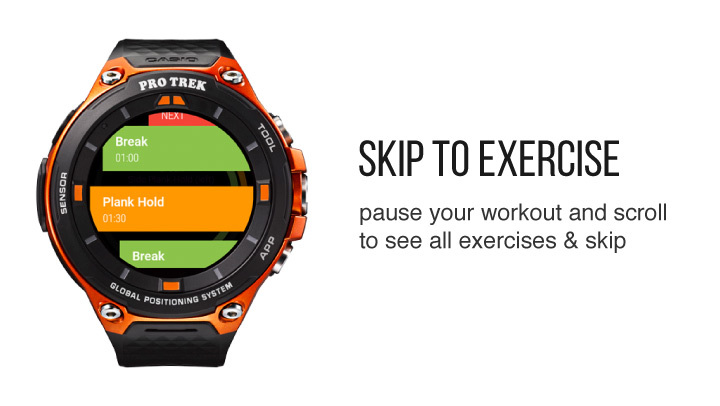 For example, on the PRO TREK smart, you can pause your workout by using the top right button. Have more than one smartwatch? 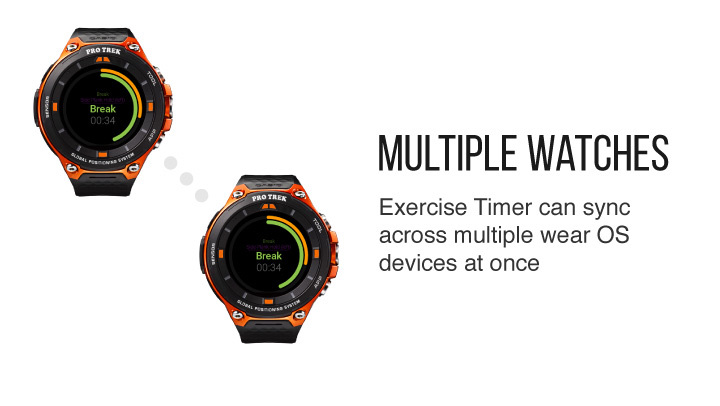 Exercise Timer can play & sync the current workout across all your smartwatches. If the workout is paused on one device, the workout will pause on all devices. This is ideal for group workouts and fitness classes. This looks like an awesome update. I especially like the changes to the workouts feature that will make it useful. When is this coming releasing on android? Hi, Glad you like it! The update is currently being rolled out. It will be released to everyone by the end of this week. Of all the apps I have used, I don’t think any have made such impressive efforts to improve functionality. My husband is actually disappointed that it’s not available for iPhone. This app has helped me meet my fitness goals for over a year now. Thank you and great job! Hi Katrina, that is very nice to hear! Well Done! Brilliant update! Made me even purchase the premium version! Upon clicking on “Create workout”, nothing happens. I see the console logs a hash of sorts, but I fail to understand what to do with it if I want to import it in my phone app. Thanks for the hard work, surprised to see this app is a 1-man job! Thanks! I will look into this bug report.